Eliminate hunger pains with the white Doppio sandwich maker. The Doppio sandwich maker has non-stick grill plates for easy cleaning and a cool to the touch handle for easy usage. The Doppio sandwich maker has a lockable lid and power and ready lights that will let you know when your sandwich is ready. 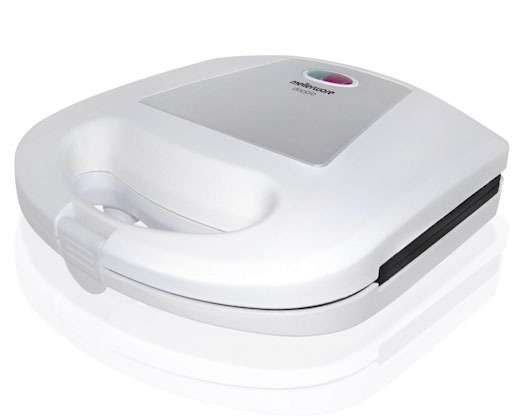 The Doppio sandwich maker has a stainless steel finish with non-slip feet and upright storage. Lockable lid to keep sandwiches pressed.